Fifty years ago the Rev. Martin Luther King Jr. delivered his stirring “I Have a Dream” speech to the tens of thousands of people who gathered for 1963’s March on Washington. The speech is regarded as one of the most important in the struggle for civil rights and, indeed, in the history of the United States. Dr. King’s words were powerful; his words were inspiring; his words were moving. His words were copyrighted. Turns out that, before stepping behind the lectern on that momentous August day in Washington, DC, King submitted his speech to the U.S. Copyright Office, thus protecting it from unauthorized use until 2038. King was well aware of his role as a leader of the civil rights movement and understood that the things he wrote and said could influence the direction of a nation. But he also understood that his words might also be co-opted for reasons other than inspiring millions to take action for a just cause that was long overdue. They might be used for profit, or placed in a context that might twist his intended meaning. By taking action to safeguard his speech, King demonstrated a keen understanding of the value of protecting creative product. It’s an example we’d all do well to follow. In an economy that is both increasingly mobile and dependent on contract workers, valuable information is being created and shared in growing volume. Companies need to protect the valuable intellectual property they share with contractors and consultants need to protect the intellectual property that makes them a valued asset to their clients. 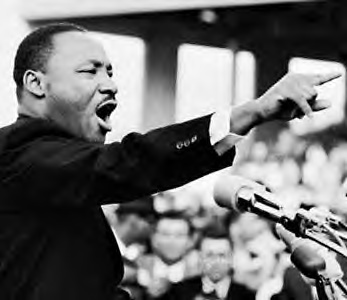 I don’t mean to make light of King’s words or his great sacrifice by comparing I Have a Dream and effecting document protection, but I do think it’s worth keeping in mind – as King did – that an act as mundane as protecting the documents that contain our creative output is an act worth taking.